Nikon’s full-frame camera lineup is impressive, but perhaps even more so is the extensive collection of FX-format (full frame) lenses. Below are 10 of the best FX lens models from wide angle and portrait to telephoto, along with 7 more that just missed the cut. We’ve included both zoom and prime lenses, and instead of picking only the most expensive pro-level options, we’ve taken value into consideration as well. That means you’ll find some nice budget lenses on this list like the 50mm f/1.8 and telephoto 70-300mm f/4.5-5.6 that make full-frame photography much more accessible. For more background, see our lens comparison table and buying advice below the picks. What we like: Adds vibration reduction to an already exceptional lens. What we don’t: Some people think the "E" is slightly less sharp at the center than the older “G” version. For a super versatile FX lens that produces professional-grade images, the 24-70mm f/2.8E is one of the most popular options in Nikon’s full-frame lineup. It’s extremely sharp across its zoom range, focuses quickly and accurately, and has minimal distortion. We also like the sturdy metal build, which adds weight to the lens but makes you feel like you will own it for many years to come (provided you take good care of it, of course). For everything from travel photography to portraits, the 24-70mm f/2.8 can replace a handful of specialty prime lenses without much of a drop-off in image quality. 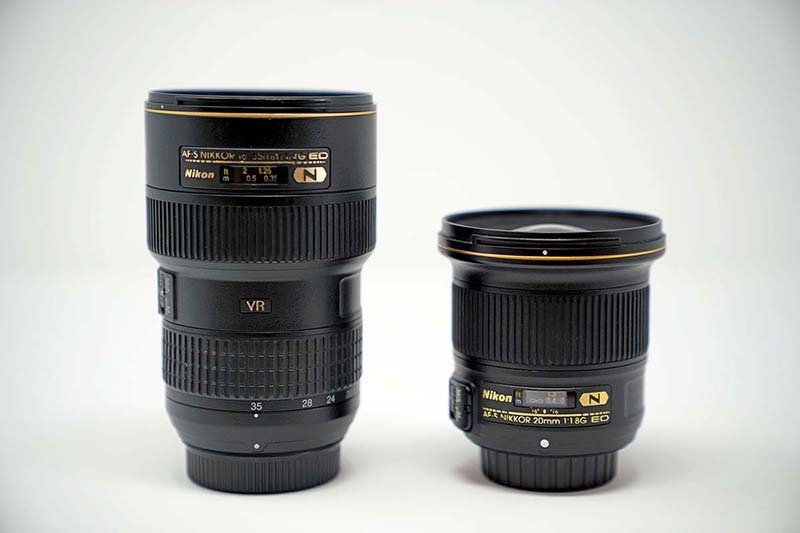 For background, there has been much discussion over which Nikon 24-70mm f/2.8 version is best. The older “G” version of this lens (described below) originally was released in 2007 and is known for being tack sharp, particularly in the center of the image. The newer “E” version was released in 2015, including all-important vibration reduction and improved sharpness around the edges. Some people, however, have argued that there was a slight drop in center sharpness on the E, not to mention it’s heavier and more expensive by about $600. We think both are excellent lenses and the choice probably should come down to whether or not you want VR. What we like: Excellent low light performance and creamy bokeh. What we don’t: Some barrel distortion, although it’s certainly not a deal breaker. For just about any type of photography or camera, a quality 50mm lens makes a whole lot of sense. And the 50mm f/1.4G happens to be one of Nikon’s top prime lenses: it’s sharp, performs extremely well in low light, has fast and accurate autofocus in most circumstances, and impressive bokeh. Compared to other f/1.4 prime lenses like the Sigma 50mm Art, the Nikon is cheaper and lighter at less than 10 ounces. At around $450, it’s a no-brainer in our book. What are the shortcomings of this lens? It has some barrel distortion that can be noticeable when shooting straight lines, which is an uncommon trait on Nikkor primes. And there is a decent amount of plastic in the build, which on the flip side, does help keep cost and weight down. But these are small gripes about an otherwise outstanding lens, which can do everything from portraits to travel and street photography. For those looking to save, Nikon’s 50mm f/1.8G below is slower in terms of aperture but less than half the price. We love the speed of the f/1.4 and the unique photos that it can produce, but both are excellent lenses. What we like: Nikon's top wide-angle zoom. What we don’t: Heavy and no vibration reduction. 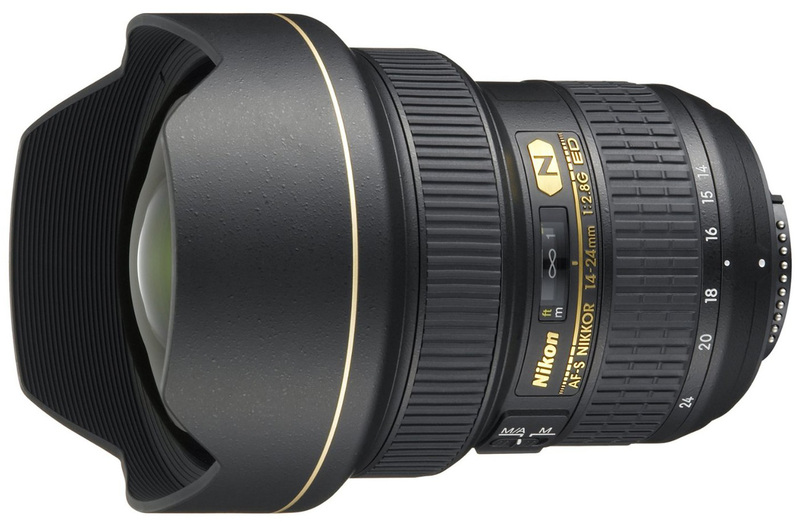 For professionals and discerning enthusiasts, the 14-24mm f/2.8 is Nikon’s top wide-angle zoom. It’s exceptionally sharp, autofocus is fast and accurate, and the f/2.8 maximum aperture is impressive for a lens of this type. In addition, we love the focal length range: many camera manufacturers go for a 16-35mm as their top wide-angle zoom, which doesn’t go as wide as this Nikon and has crossover with the 24-70mm f/2.8, our top pick. If the cost and weight of the Nikon 14-24mm f/2.8 are too much for you to swallow—not to mention this lens is now over a decade old and counting—there are some interesting alternatives below. 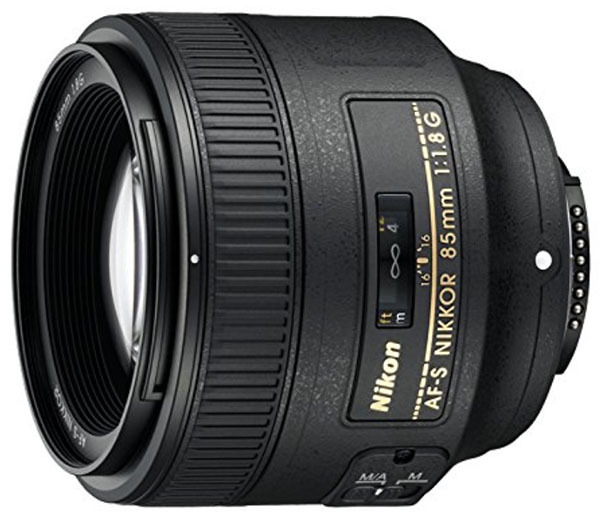 The Nikon 16-35mm f/4 is slower in terms of aperture but costs and weighs significantly less. 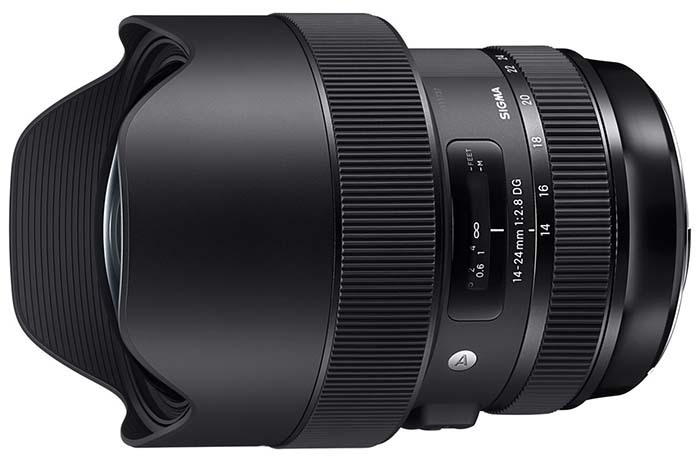 If you have a need for speed, the Sigma 14-24mm hits that sought-after f/2.8 and is a nice value at around $1,200. And the Nikon 20mm f/1.8 is an interesting prime option that is the lightest and least expensive of the bunch. But none can match the optical performance or build quality of the Nikon 14-24mm f/2.8, which remains the cream of the wide-angle crop. What we like: Sharp, fast, and much cheaper than the Nikon 35mm f/1.4. What we don’t: Heavy and focus may need calibration. Third-party lenses come and go but few have true staying power for the most discerning of photographers. Sigma’s Art series is an exception, offering ultra-fast prime lenses that can go head-to-head with just about anything that Nikon makes. In this case, we like the Sigma 35mm f/1.4 more than Nikon’s 35mm f/1.4, which costs nearly $1,500 and isn’t markedly better in terms of performance. You can opt for the Nikon 35mm f/1.8 below, but we jump at the opportunity to shoot at f/1.4 whenever possible, especially if you use at this focal length frequently. Similar to other third-party lenses used on Nikon camera bodies, autofocus can be an annoyance with the Sigma 35mm f/1.4 (it’s also made for Canon and Sony cameras, so the one-size-fits-all build has its shortcomings). A number of users have reported focus inaccuracies out of the box that require calibration either manually or via Sigma’s USB lens calibration dock. And despite the impressive build quality, this lens is heavy for a prime at 2 pounds. But if 35mm is your focal length, we highly recommend giving Sigma's Art series a serious look. What we like: Sharper, lighter, and focuses better than the older “G” version. What we don’t: Pricey and heavy. The 70-200mm f/2.8 is a staple for many professionals—it’s great for everything from portraits to outdoor photography. And Nikon outdid itself with the recent 70-200mm f/2.8E. We loved the older G version, but they managed to improve a whole lot of things on the E: it’s even sharper, lighter, focuses better and closer, and has a more modern feel with handy features like four memory focus buttons. 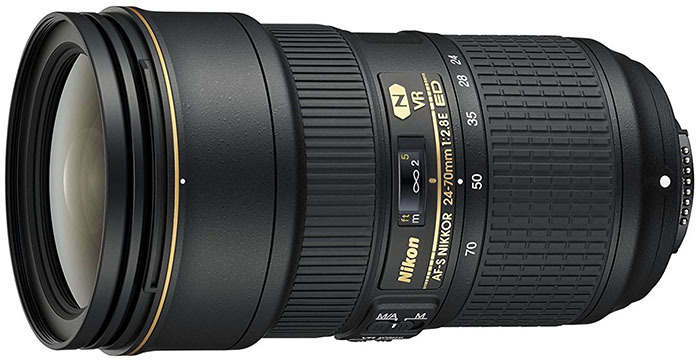 All things considered, we think it’s the most impressive FX lens Nikon has released in years. As we mentioned above, this is a lens built for professionals and enthusiasts and there are reasonable alternatives. 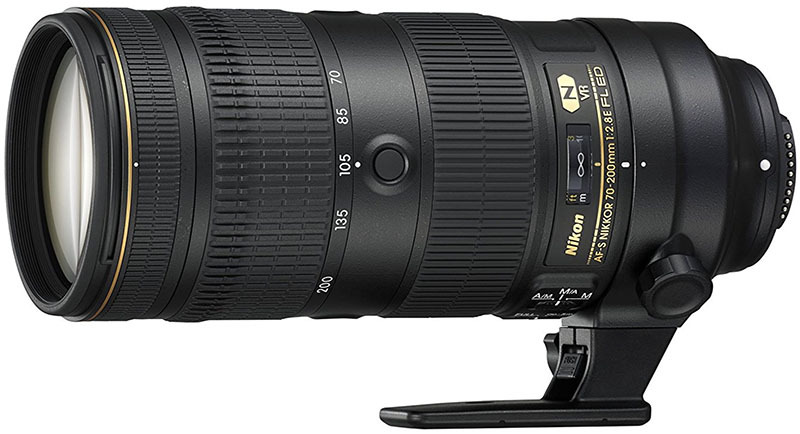 The Nikon 70-200mm f/4 has the same focal length range, weighs over 20 ounces less, and costs roughly half as much. There’s also the 70-200mm f/2.8 from Tamron, which gets you the same fast maximum aperture at the sacrifice of some overall performance and build quality. However, we can’t help but love the creamy bokeh and incredibly crisp images produced by the Nikon f/2.8E. For those who prioritize image quality over all else, it’s a must-have telephoto lens for FX. What we like: Super sharp and substantially cheaper than the 85mm f/1.4. What we don’t: For professional portrait photographers, it’s still tempting to go for the f/1.4. We hemmed and hawed about whether to include the 85mm f/1.8 or f/1.4 on this list, and it’s a really tough call. In a nutshell, the f/1.4 truly is an incredible lens: it’s extremely sharp all the way to the edges, has superb color rendition, produces creamy bokeh, and excels in low light. But given the hefty $1,600 price tag, the f/1.8 is the better value and not too far behind in terms of image quality. For portraiture and event photography, it’s one of our favorite primes in Nikon’s FX lineup. A common strength between the Nikon f/1.8 and f/1.4 is sharpness. The step down in speed does impact low light performance and bokeh, but f/1.8 certainly isn’t a bad place to be. You still can shoot handheld photos in low light, we’ve seen plenty of examples of creamy bokeh, and the f/1.8 weighs 8 ounces less. And we keep coming back to price: the f/1.8 is less than one-third the cost of the f/1.4, which is why we give it the nod here. Last but not least, if you can’t live without that f/1.4 but don’t want to shell out the cash for the Nikon, then the Sigma 85mm f/1.4 might fit the bill. It’ll save you about $400 but has considerably slower autofocus. What we like: Great performance for the price. What we don’t: You sacrifice some build quality. It’s not often that we include two lenses at the same focal length and from the same manufacturer, but Nikon’s nifty fifties deserve it. All things considered, Nikon hit the mark with their f/1.8G. It focuses faster than the f/1.4 above, is just as sharp, and still offers solid low-light performance and impressive bokeh. Couple that with the fact that you save over $200 by going with the f/1.8, and it’s one of the best values of any FX lens on the market. What are the shortcomings of the Nikon 50mm f/1.8? Compared to many of the pro-grade lenses included here, the build quality is subpar and feels rather plasticky and light in the hand. It also lacks the superb low-light capabilities of the f/1.4, but still is decently fast and can shoot even sharper when wide open. In terms of the final decision, professionals and low-light specialists will gravitate to the f/1.4, but for the price, we can't help but love the f/1.8. What we like: The most versatile lens on this list. What we don’t: Can’t match purpose-built primes and zooms in terms of image quality. For the ultimate in versatility, the Nikon 28-300mm VR literally can serve as the only lens in your bag. 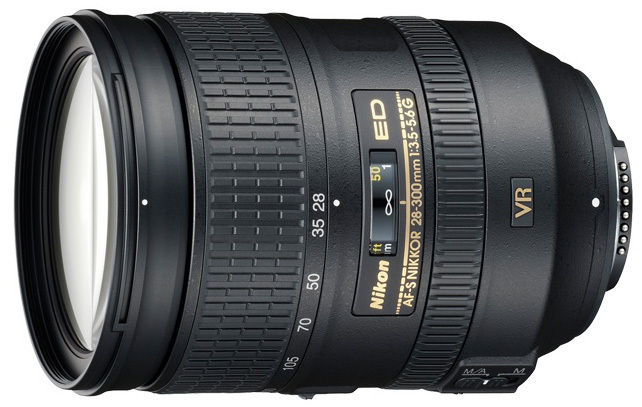 Based on the popularity of all-in-one models for Nikon’s DX-format cameras, the 28-300mm VR was built specifically for FX and is one of the only such lenses for full frame. You can expect distortion at the ends—all new Nikon full-frame camera models do have automatic distortion correction—but the lens is sharp throughout its zoom range and captures good images overall. And although the Nikon 28-300mm is heavy at over 28 ounces, it’s actually lighter than many of the zooms above including the Nikon 24-70mm, 14-24mm, and 70-200mm. All things considered, we aren’t huge proponents of all-in-one lenses, and particularly for full-frame cameras. The convenience is unbeatable, but this lens simply can’t match the optical performance of primes or purpose-built zooms at their respective focal lengths. The maximum aperture of f/3.5-5.6 is rather pedestrian and you won’t get the same sharpness or bokeh as many of the lenses above. Nevertheless, a good number of people love carrying one lens, and for them, the Nikon 28-300mm is the ticket. What we like: A cheaper wide-angle alternative to the 14-24mm f/2.8 above. What we don’t: Not as good in low light. 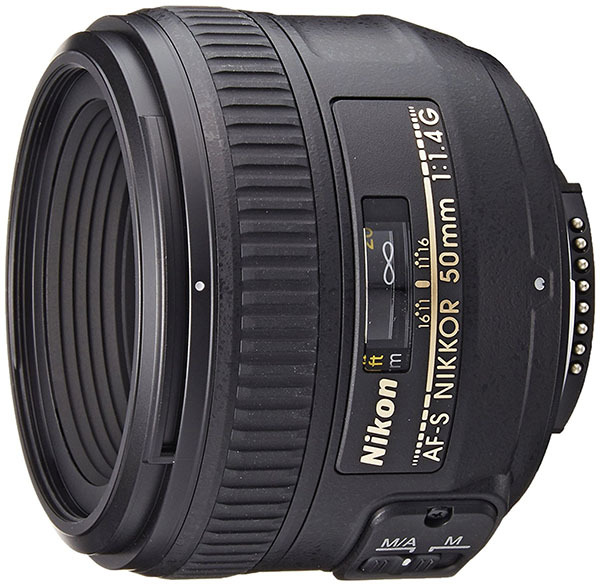 Good news for wide-angle photographers who don’t want to spend up for the 14-24mm f/2.8 above: the Nikon 16-35mm f/4 is a viable alternative. This lens is $800 cheaper, 8 ounces lighter, and covers more focal lengths by a big margin. Yes, you do have to sacrifice a full stop in terms of aperture, but the sharpness is there and a good portion of wide-angle shooting is done is good natural light. In addition, the 16-35mm comes with vibration reduction, while the 14-24mm does not. Interestingly, Nikon has released an even less expensive wide-angle zoom in the 18-35mm f/3.5-5.6, which currently retails for around $750. We like the concept of giving people multiple wide-angle options, not to mention the 18-35mm is relatively light at just 13.6 ounces (this makes it a fun lens for landscape photographers who want to carry the minimum). 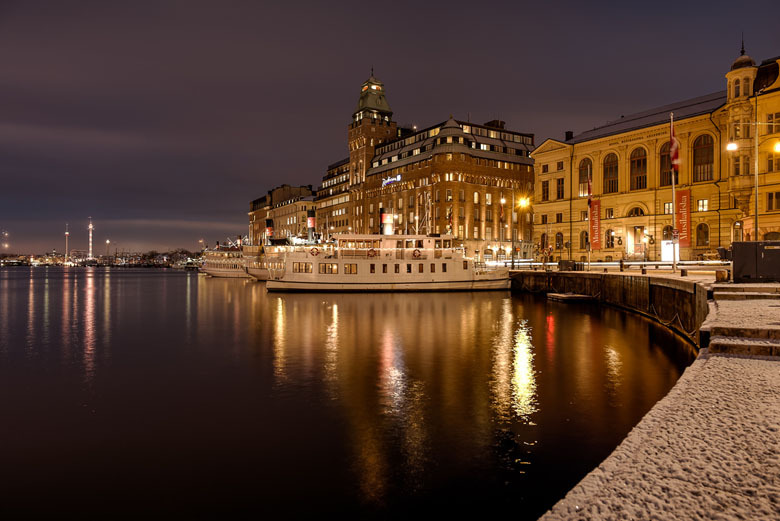 But it’s lacking in vibration reduction and can’t match the low light performance of the 16-35mm f/4. The 18-35mm is a fine choice for those on a budget, but we prefer the 16-35mm. What we like: Cheaper and arguably a bit sharper at the center than the f/2.8E. What we don’t: No vibration reduction. The 24-70mm f/2.8 is the most popular pro zoom on the market, and on this list we have two different options. As mentioned above, the f/2.8E was released in 2015 with the notable addition of vibration reduction technology. Nikon also redesigned that lens to even out the sharpness (more in the corners, perhaps slightly less in the middle of the frame), and the E costs $600 more and weighs an additional 5.9 ounces (VR always adds weight). If you don’t need vibration reduction, the 24-70mm f/2.8G continues to be an excellent option. Sharpness and color rendition are exemplary, autofocus is fast and accurate, and the lens is extremely versatile for everything from landscapes and travel photography to portraits. It’s an oft-debated subject how much better the new “E” really is, and some of the negative coverage may have been specific to early samples that were tested. But with a decade of information to go off of, we know the “G” is a winner. What we like: Doubles as both a macro and portrait lens. What we don’t: Big and heavy for a prime at over 25 ounces. The Nikon 105mm f/2.8 is our favorite macro lens for FX (Nikon uses the term "Micro"). With impressive sharpness and a minimum focusing distance of just over 12 inches, this lens can handle the vast majority of your full-frame macro needs. In addition, the 105mm focal length allows it to double as a portrait lens, including vibration reduction for those on the move. For both types of photography, autofocus is reasonably fast in most circumstances, and low light performance is on par with other lenses of this type. The biggest shortcoming of the 105mm f/2.8 is its large size and heavy weight at over 25 ounces. For comparison, the 60mm f/2.8 Micro weighs just 15 ounces and costs $597, but we still prefer the 105mm focal length and crispness of this lens. Many people buy it primarily for macro purposes but end up being pleasantly surprised with its versatility. 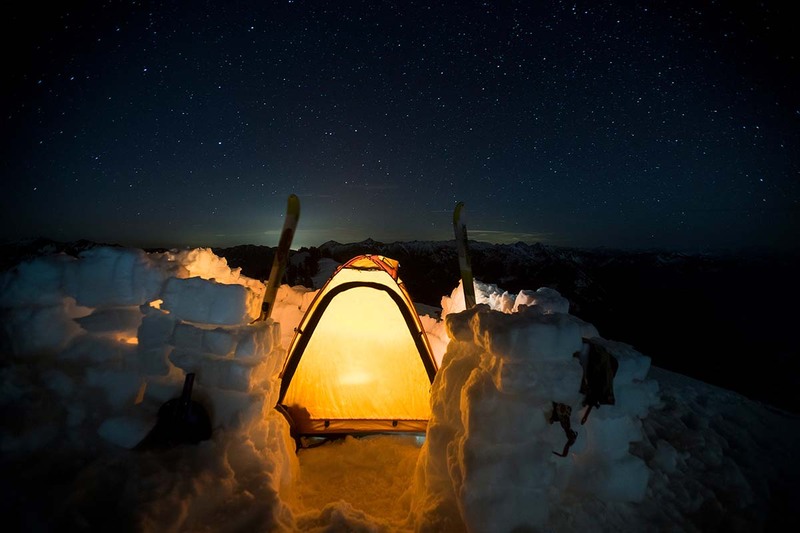 What we like: A great lightweight option for landscape photography. What we don’t: Not nearly as versatile as a 14-24mm or 16-35mm. If you’re looking for a wide-angle FX lens that offers top-of-the-line image quality and the ability to shoot in the dark, Nikon’s 20mm f/1.8 is a very intriguing option. At just 12.6 ounces, this lens will help save the back of any landscape or outdoor photographer who relies on carrying their kit over long distances. Plus, it’s super sharp and having a wide-angle prime that can open up to f/1.8 is a must-have for serious night sky shooters. And the cherry on top: it’s relatively affordable compared to the zoom options on the market. What are the downsides of this prime lens? Most significant is the limited focal length: you can’t go as wide as a 14-24mm or 16-35mm, and while 20mm can be fun to experiment with for travel and street photos, it’s best for landscapes. Further, this lens has a lot of plastic in the build, and while plenty durable, it might not instill a feeling of confidence for those who are used to higher-quality materials and more metal. That said, we can’t help but love a lighter and less expensive alternative to all those heavy wide-angle zooms. What we like: Fast autofocus and great sharpness for a telephoto zoom. What we don’t: Not as good of a portrait lens as the 70-200mm f/2.8. 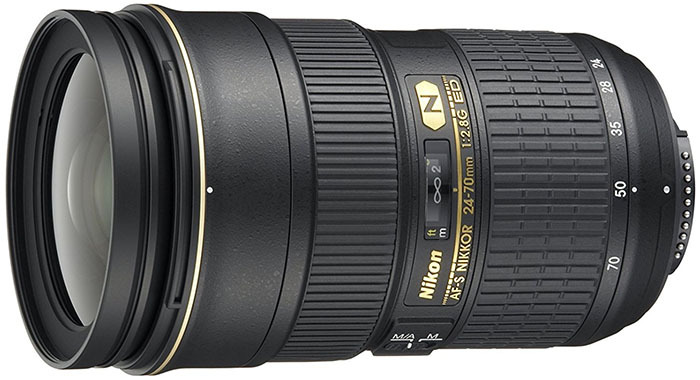 Nikon keeps rolling out new “E” lenses, and this one replaces the 70-300mm “G” version that was popular for years. In terms of optical performance, you get surprisingly fast autofocus (which can be an issue with inexpensive telephoto zooms) and great sharpness at an even lower weight than past versions. For those who want to experiment at the telephoto end of the spectrum while staying well below the $1,000 price threshold, this is your ticket. What are the shortcomings of the Nikon 70-300mm? With a maximum aperture of f/4.5-5.6, it’s not nearly as good of a portrait or low-light lens as the 70-200mm f/2.8 above. In terms of zoom reach, 300mm is viable for wildlife and other telephoto uses, but it can’t match the 200-500mm f/5.6 below. But if you want a quality telephoto zoom for Nikon FX without breaking the bank, this is a nice option. 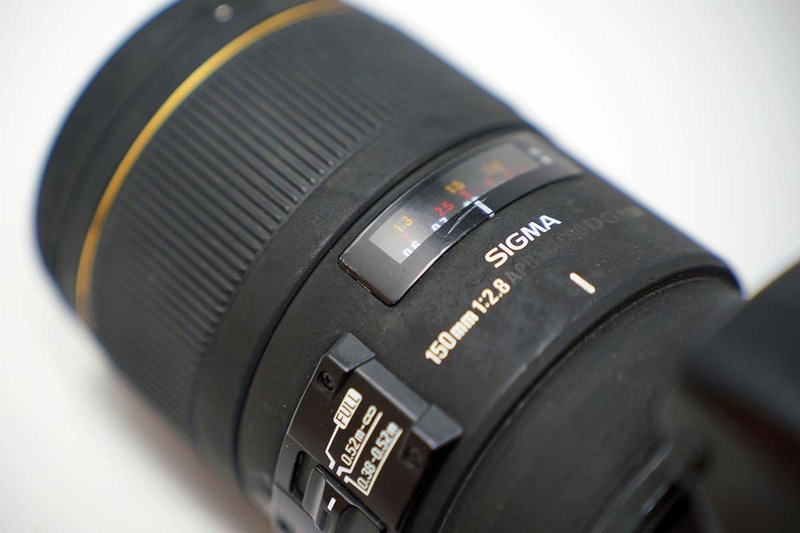 What we like: Cheaper and lighter than the Sigma 35mm f/1.4. What we don’t: Slower and a lot of plastic in the build. Our top 35mm pick for FX is the Sigma f/1.4 above, but not everyone shoots frequently enough at this focal length to merit the price or weight of that lens. For these people, we like the Nikon 35mm f/1.8. It’s one of the lightest lenses on this list and offers great sharpness, fast autofocus, and respectable bokeh, all for just over $500. Because of the reasonable price point, it makes the 35mm focal length available to a wide range of consumers who want better performance than their zooms. Keep in mind that aside from a metal mount, the lens is constructed almost entirely of plastic and therefore isn’t super durable and may not last forever. But this does help keep the price and weight low, two of the main reasons we like it. The other native option at this focal length is the Nikon 35mm f/1.4, but at around $1,500, it’s too pricey for our tastes. What we like: A great value for a super telephoto. The 70-200mm and 70-300mm above are the most widely-used telephoto lenses for Nikon, but they pale in comparison to the 200-500mm f/5.6E (at least as far as zoom is concerned). All in all, there is a lot to like about this lens: it’s incredibly sharp for a super telephoto, focuses well, and is a great value at just under $1,400. For everything from wildlife photography to events that require huge zoom, the Nikon 200-500mm f/5.6 E can get the job done. Keep in mind that this is an extraordinarily bulky and heavy lens. At just over 5 pounds and 10.5 inches in length, the Nikon 200-500mm takes some serious getting used to for those making the jump. In addition, the maximum aperture of f/5.6 limits your ability to shoot in low natural light. This is a common problem with super telephoto zooms: primes often are faster like the Nikon 400mm f/2.8E, but that lens runs more than $11,000 (no, that is not a misprint). All in all, the 200-500mm isn’t perfect, but it’s a fun lens and a heckuva value. What we like: Inexpensive, lightweight, and versatile. What we don’t: Soft and heavy on distortion. First, let’s call a spade a spade: the Nikon 24-85mm f/3.5-5.6 is not the ultimate professional lens. Its edge-to-edge sharpness and low light performance simply will not match a premium full-frame zoom like our top pick on this list, the Nikon 24-70mm f/2.8. It’s not intended to, however, and is literally about one quarter the price and significantly lighter. All told, it’s one of the better values on this list. As one might expect, the Achilles Heel of the Nikon 24-85mm f/3.5-4.5 is softness. It’s not super sharp at any particular focal length, and is particularly soft at the ends. In addition, distortion is fairly heavy from wide angle throughout its zoom range. For these reasons, we don’t love this lens on some of Nikon’s higher resolution cameras like the Nikon D850 or D810, but it’s a viable budget option for cameras like the D750. Remember, it’s the photographer and not the gear, and this lens gets you shooting full-frame photos for just about the minimum. 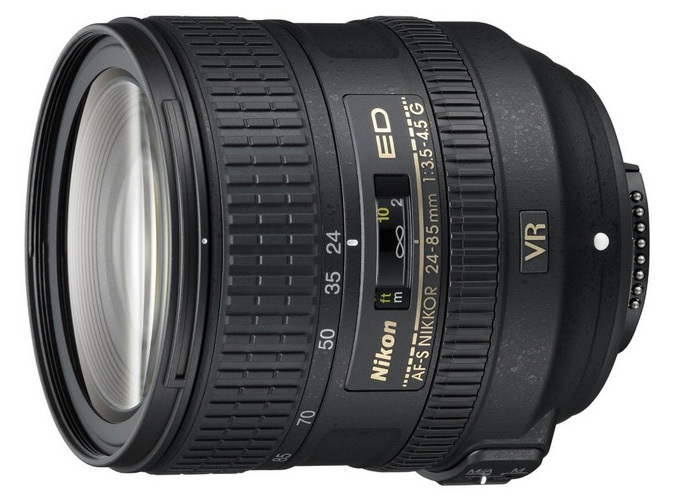 What we like: $700 cheaper than Nikon’s 14-24mm f/2.8 above. What we don’t: Very heavy and no VR. Given the high price of the Nikon 14-24mm f/2.8 above, we’re always looking for wide-angle alternatives that still meet a high quality standard. Enter the Sigma 14-24mm f/2.8, which offers the same focal length range and fast maximum aperture as the Nikon at a significant discount. We think it’s a stand-out for a few reasons: it’s sharp, has minimal distortion, and features a fast maximum aperture of f/2.8, which is no small feat for an ultra-wide-angle zoom. The focal length also offers a great deal of versatility when paired with a 24-70mm as there’s less overlap compared to the standard 16-35mm. It’s interesting to note that Nikon hasn’t updated their 14-24mm f/2.8G in over a decade, which makes it harder to compete with newer and improved lenses from other brands. With the Sigma, you get the same focal length and comparable sharpness as the Nikon for a significant $700 less. One drawback is weight, as you’ll be carting around a lot of bulk with this 40-ounce lens (it’s worth noting that the Nikon isn’t all that much lighter at 35 ounces). 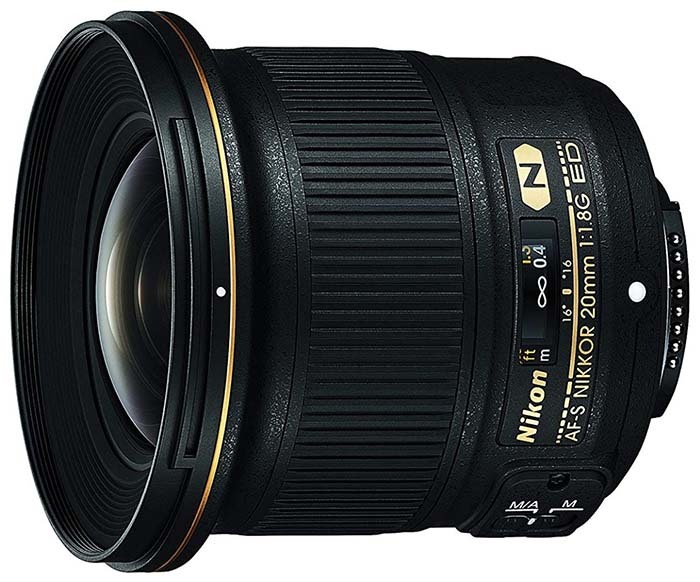 And for a lighter and cheaper prime option, see the Nikon 20mm f/1.8 above. An old photography dichotomy is that professionals use prime lenses and amateurs use zoom lenses. It’s true that some of the very top lenses in terms of aperture, bokeh, and sharpness are primes, but the lines have been blurred as of late as the zoom options have improved. More non-professionals are buying full-frame cameras and want lenses that are less expensive and easier to carry. As a bonus, cheaper full-frame lenses usually have fewer elements and more plastic are therefore are lighter and smaller. 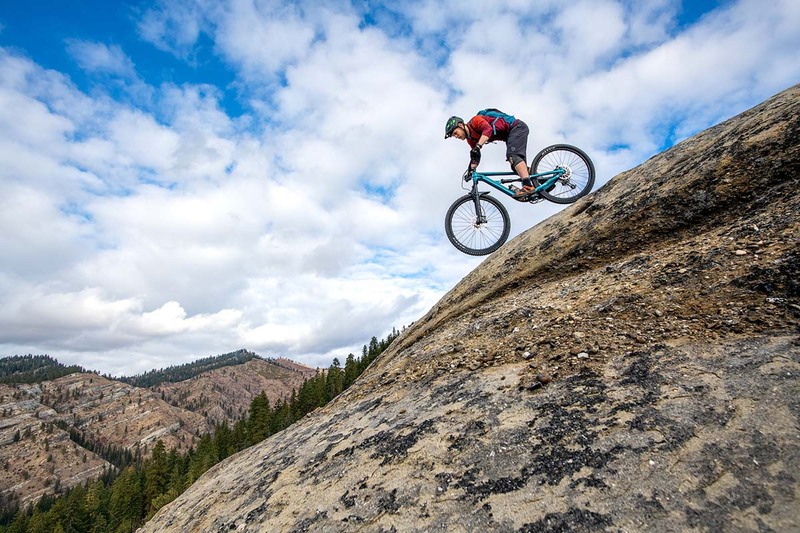 In the outdoor and travel industries, we’ve noticed a lot of professional photographers using zoom lenses, and particularly of the wide-angle and telephoto varieties. Portrait and event professionals that depend on the 35mm to 100mm focal length range have the strongest selection of primes. Both types of lenses have advantages—primes in their optical performance and zooms in their versatility—but the latest generation of zoom lenses certainly outperforms past models and are no longer only for kits and those on a budget. One of the strongest correlative factors with lens price is low light performance. This is measured primarily by aperture, or the amount of light that a lens is able to let through. Professionals need fast lenses, amateurs want them, and your decision should be dictated by your budget and intended use. There aren’t hard-and-fast rules here, but we make the professional/non-professional lens cut-off at f/2.8. Most pro-level lenses are at or below an f/2.8 maximum aperture (f/2.8, f/1.8 and f/1.4, for example), and many inexpensive zoom lenses are f/3.5 and above. You can get stunning photographs with almost any lens but a faster model definitely helps in low light, when shooting without a tripod, and with bokeh. Another factor in gauging low light performance is image stabilization. Many lenses have tiny motors that help stabilize the image when shooting by hand, and depending on the situation, this can buy you a stop or two of performance. 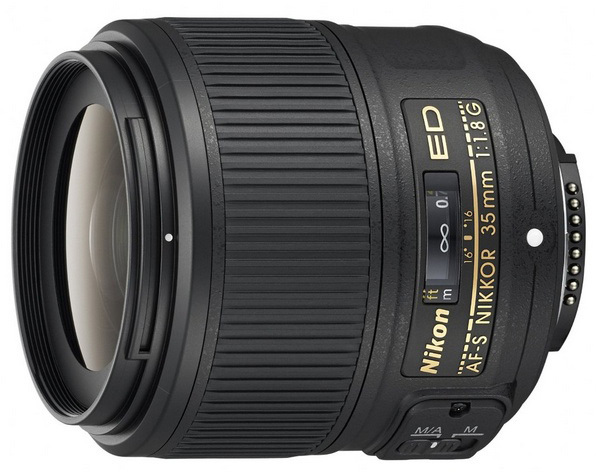 Many non-prime, pro-level lenses have image stabilization while budget lenses like the Nikon 18-35mm f/3.5-5.6 do not. Distortion in photographs occurs when straight lines appear slightly curved, and can be either of the barrel or pincushion variety. In general, zoom lenses have more distortion than prime lenses. Wide-angle lenses have the most distortion of any type. And the cheaper the lens, the more likely it is to suffer from distortion. The good news for photographers is that all of Nikon’s new digital SLRs have a built-in distortion correction mode that helps offset the weaknesses of a lens. More, editing software like Photoshop and Lightroom can correct distortion and the process is relatively quick and painless. Of course, minimal natural distortion is optimal and both in-camera distortion correction and post processing have their limitations. If the distortion is too complex, the camera may not be able to recognize or fix it to your satisfaction. Full-frame cameras are heavier than their crop-frame and mirrorless counterparts, and unfortunately so are FX lenses. 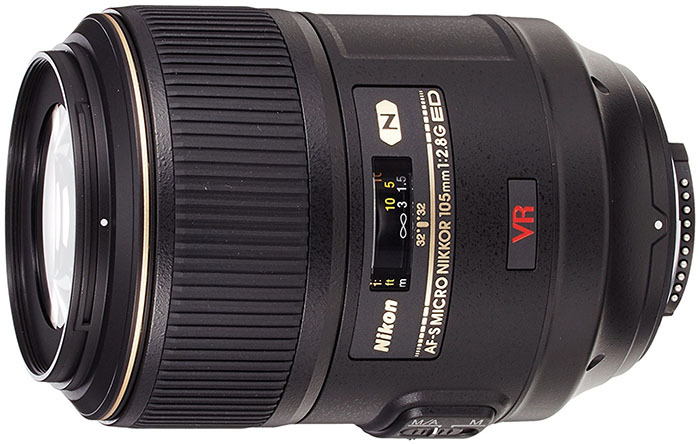 On this list, for example, some of the heavier zoom lenses like the Nikon 24-70 f/2.8E VR are well over 2 pounds. Given that Nikon full-frame camera bodies also weigh nearly two pounds (the Nikon D850 is 32.3 ounces), the camera and one zoom lens together already weigh nearly 4 pounds. And many photographers have multiple lenses and a camera bag to keep it all contained and protected. If you’re after the lightest possible set-up, mirrorless interchangeable-lens cameras lead the pack including the new full-frame Nikon Z7 and Z6. For full-frame DSLR lenses, your lens choice does matter in terms of weight and bulk, so take note when making a purchase. FX lenses on the light end of the spectrum weigh as little as 10 ounces for the 50mm f/1.8, and the 18-35mm zoom comes in a very respectable 13.6 ounces. 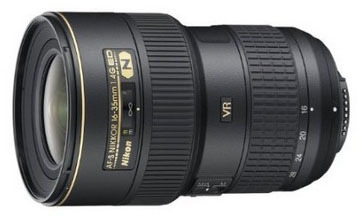 On the contrary, the hefty Nikon 70-200mm f/2.8E VR is a hefty 50.4 ounces. Sharpness is one of the most cited—and perhaps one of the most overused—terms when evaluating lens quality. The truth is that a number of factors influence the sharpness of an image: the quality of the glass and internal lens components, the conditions you are shooting in, the aperture, and the camera itself. But sharpness does vary, and in general, higher-end lenses with faster apertures tend to be sharpest. When evaluating sharpness, many lenses are strong at the center part of the image, but this can change dramatically as you move toward the edges of the frame (edge-to-edge and corner sharpness are commonly-used terms in the industry). When looking at an image, we recommend studying the edges and corners as that will help paint the real picture. Some lenses do struggle with center sharpness too, and particularly inexpensive zooms, which is one big reason that we prefer fast zooms and primes. When people review lenses, the speed and accuracy of the autofocus often comes into play. Like many factors evaluated in this article, the reality is that pricier pro-grade lenses tend to focus better than their slower and cheaper counterparts. In terms of categories, lenses with big zooms ranges, and telephoto zooms in particular, have a tendency to hunt for the right focus, which can be a big issue if you’re trying to capture something on the move like wildlife. Prime lenses tend to be the fastest at focusing as they have the least internal complexity. The camera matters too, of course, and Nikon’s latest FX offerings like the D850 continue to raise the bar in terms of autofocus accuracy and tracking of moving subjects. All of our lens picks above have autofocus, but it’s worth noting that it’s easy to switch over to manual. For things like portraits, travel, and even landscape photography, focusing manually can be a fun and even more accurate way to have an image turn out exactly as you desire. In addition, Nikon and other third-party manufacturers do offer manual focus only lenses that are popular among some professionals and enthusiasts. 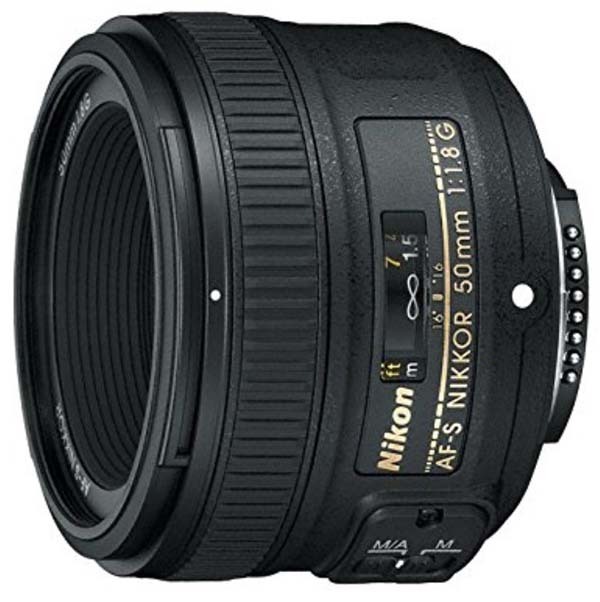 The Nikon 50mm f/1.2, for example, is a superb lens in terms of aperture and depth of field, and the lack of autofocus makes it a great value at just over $700. In addition, Zeiss has a number of premium manual focus primes like the Milvus 21mm f/2.8. For the right photographers, manual focus lenses can be viable and fun options. A number of third-party manufactures—Sigma and Tamron being two of the most notable brands—make lenses that are compatible with Nikon full-frame cameras and often come in cheaper than their native counterparts. On this list, two of our top FX-format picks are made by Sigma. But as we know, cutting costs often comes with a few sacrifices and lenses are no exception. Two common complaints with third-party lenses relate to slower, less accurate autofocus and more plastic in the build compared to native lenses. 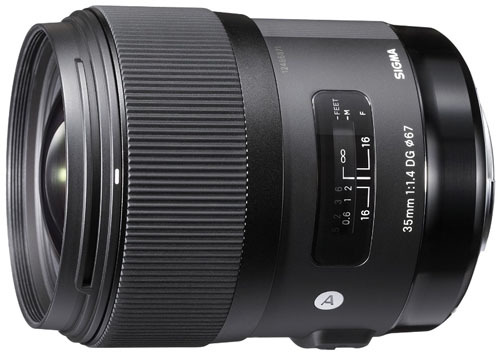 That said, Sigma in particular has impressed us with their “Art” series of lenses, which are well-built and sometimes cheaper than the Nikon alternatives. 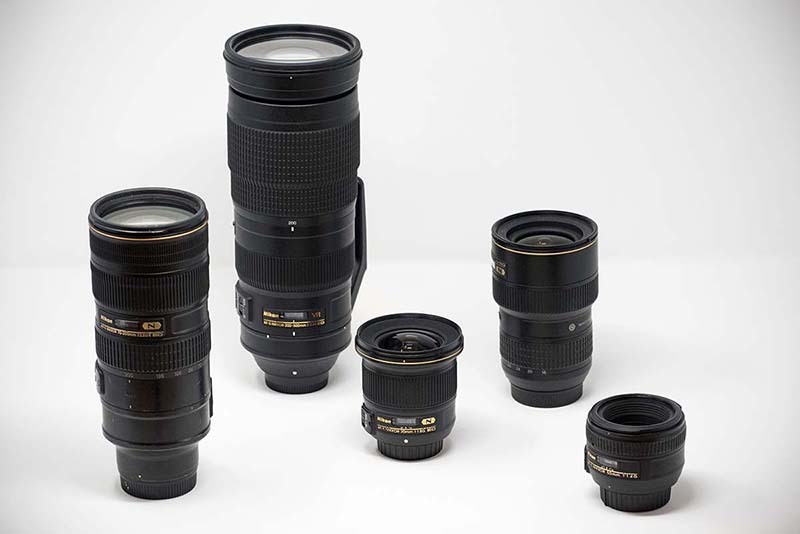 We recommend exploring your options and considering third-party lenses when available. They can be great for those on a budget or who want to experiment with a particular focal length without committing to a much higher-priced lens right off the bat. And it’s worth noting that we’re seeing more and more third-party manufacturers designing well-built, functional alternatives to native lenses. For now, however, be sure to manage your expectations—you typically get what you pay for. Can I Use DX Lenses on an FX camera? The short answer is yes: most DX lenses technically are compatible on FX cameras. However, only the center of the image will be recorded because the camera automatically selects a crop mode whenever a DX lens is attached. The result is a compromised image that is a disservice to your expensive FX camera. If you have a high quality DX lens that you can’t live without, you can get DX-like image quality from your FX camera. But if you’re buying new or used lenses for your full-frame camera, we recommend using FX lenses.